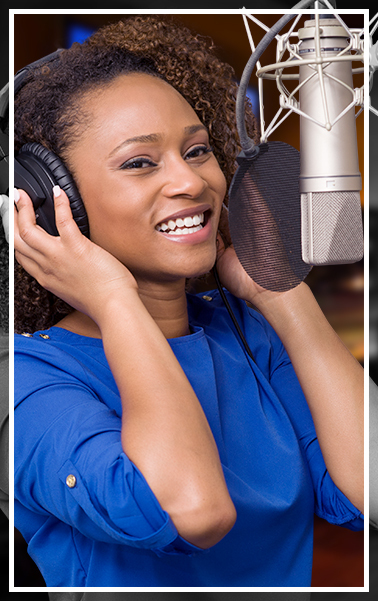 Amazing Voice has been a leader in the voiceover industry for well over 12 years; Producing voiceovers for businesses of all sizes – From International Fortune 500 companies such as Xerox, Microsoft and G.E., to small upstart ventures and home offices. No matter how large or small your business is, with Amazing Voice you always get the same top-notch service and professional quality. Got your script ready? Let's go! Satifisfaction guaranteed – every time! When it comes to quality, attention to detail counts! Your Amazing Voice production will be reviewed and processed with the utmost care, to ensure that you are completely satisfied. Our clients are what we value most and their business is important us, so we treat each and every order as if it was our very own. Contact us for more info. Quality voice overs – no exceptions! Every order is subject to our thorough and rigorous process – with a special focus on Quality Control. All orders are edited by our experienced engineers, proof-read twice to ensure accuracy and guaranteed 100% – That is why we take the time and effort to make sure that every production is absolutely perfect. "Thank you so much for a fantastic service. Very well done and delivered exactly as promised. Very impressed. "